Omega-3 fatty acids are one of the most popular supplements available. While omega-3 fatty acids have very few negative side effects and are generally safe for everyone, it’s always a good idea to learn a little more before considering a new supplement. Omega-3 fatty acids are a type of fat. Moderate amounts of fats in general are important for overall health. Blood clotting, vitamin absorption, cell building, and more all require some fats. However, some fats are believed to be healthier than others. There are three types of fat: trans, saturated, and unsaturated. Unsaturated fats are considered the healthiest, and omega-3 fatty acids are a type of unsaturated fat. Specifically, they’re a polyunsaturated fat. Omega-3 fatty acids are considered essential for human health, but the body can’t produce its own. Therefore, omega-3 fatty acids must be obtained through diet or supplements. Getting enough omega-3 fatty acids to support overall health isn’t difficult, but it does require a little knowledge and effort. The easiest way to boost omega-3 fatty acid intake is with a supplement. Fish oil supplements are packed with omega-3s. Always talk with your physician before starting a new supplement, and have a discussion about proper dosages. Additionally, quality counts with supplements. Choose a supplement that’s as pure and natural as possible. 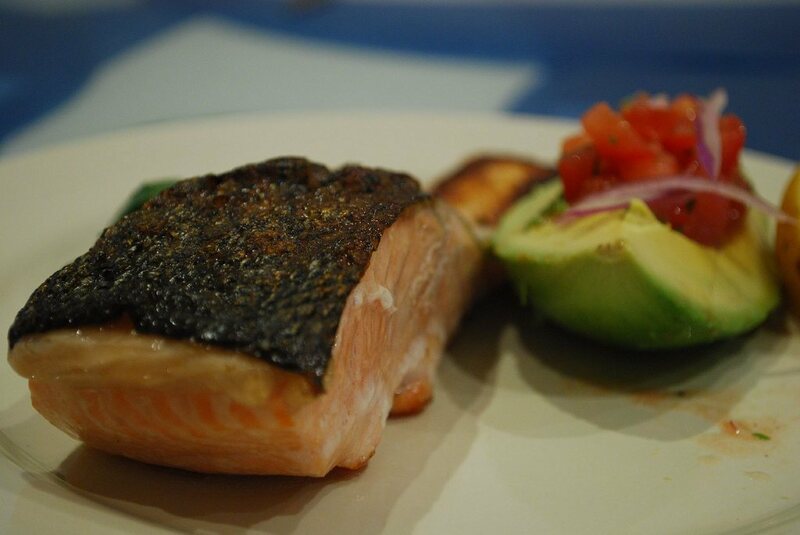 Omega-3 fatty acids are also plentiful in fatty fish, such as salmon, lake trout, mackerel, and sardines. The type of omega-3 fatty acids present in fish, as compared to plant sources, is slightly different. However, recent studies have suggested that the many benefits of omega-3 fatty acids are present in both fish and plant sources, meaning that no one has to eat any food they don’t like to get omega-3 fatty acids. Additionally, other animal based products are increasingly full of omega-3s. For instance, hens fed algae or flaxseed produce eggs that contain up to three times as much omega-3 as a normal egg, so keep an eye out for enriched eggs. Dairy products and non-fish meats may not be as rich in omega-3 fatty acids as fish, but looking for products from pasture-fed or free-range animals can help. Animals that eat this natural type of diet, rather than the cheaper corn-based feed that’s often used, will yield meats or other products that are more nutrient-rich. Boosting intake of omega-3 fatty acids can have lots of health benefits, especially for people with chronic pain conditions.Some of the benefits of omega-3 fatty acids include better sleep, lower risk of depression, reduced risk of some cancers, and lower risk of heart disease. These are great potential benefits for anyone. For someone with a pain condition, there’s another big potential benefit to omega-3 fatty acids. These fats are an anti-inflammatory food, which means that they interfere with the body’s inflammatory process and reduce inflammation. Some inflammation is good. It’s the body’s response to injury or illness, and it encourages healing. However, inflammation can also be painful. In people with chronic pain conditions, the pain is often caused or worsened by the body’s over-enthusiastic inflammation response. Therefore, by taking omega-3 fatty acids to reduce the inflammation response of the body, pain can be reduced significantly. Despite all the potential benefits of omega-3 fatty acids, more isn’t always better. While lots of studies have been conducted to examine the benefits of these fats, not a lot has been done to pin down a specific suggested daily value of omega-3 fatty acids. Generally, it’s suggested that daily supplements should contain around 800 to 1000 mg of omega-3 fatty acids. Alternately, eating omega-rich fish twice a week can meet the requirements. Eating omega-rich foods on a daily basis can also do the trick. However, recent research has suggested that there is such a thing as too much omega-3 fatty acids. Because of the variety of benefits, some people take supplements, eat fish every few days, eat plant-based sources of omega-3s daily, and also choose breads, juices, and other products that are enriched with extra omega-3s. This means that it’s important to talk to a physician about an ideal amount of omega-3 fatty acids for you. Additionally, eating a diet rich in omega-3 fatty acids likely means that it’s not necessary to take a supplement, and vice versa. Before reaching for a bottle of supplements, find ways to work some extra omega-3 fatty acids into everyday eating. It’s fairly easy to find ways to add omega-rich foods to what you normally eat. Add some flaxseed to the morning bowl of oatmeal, bulk up a home-made smoothie with spinach and walnuts, or use canola oil instead of butter when cooking. Swap out eggs, cheeses, and meats for brands with pasture-fed or free-range animals. Instead of grabbing a cafeteria lunch, mix up a batch of tuna salad for the week. For those who are more adventurous in the kitchen, do a quick web search for recipes with omega-3s to turn up some delicious options. This list of recipes from Food Network, for instance, not only boasts several fish-based recipes, but it has cookies, salad, a pie tart, and more. What are your favorite sources of omega-3 fatty acids?